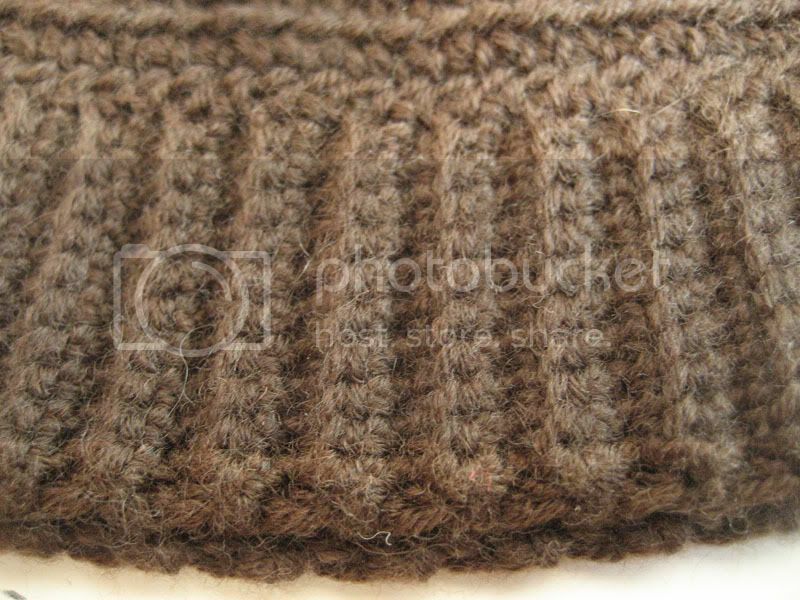 How to make a perfectly fitting beanie hat. Last week, on a night out, the boyfriend sent me a text message. "I think I've lost my hat!". It was a sad moment. That hat had been with him for several years, and was the first thing I had crocheted for him, but after a moment's disappointment, I remembered that actually, he'd gotten years of wear out of it, had minded it, used it and loved it, and I couldn't be angry with him for allowing it to slip out of his coat pocket on a rainy night in Dublin. But, it presented me with a problem. Originally, he had asked me to make him a hat that would he his and his alone. He didn't want it to end up as a pattern, basically. A truly unique piece. I can see the appeal to that, and did at the time, too, so I took no notes, no calculations and no measurements.In retrospect, that was a bad idea, because now, I was left with the impossible task of replacing something that I had spirited together years ago. I decided this time 'round I would take notes, and share my technique, so that next time (!) I'd not have to worry so much. This technique will work with any weight yarn, so I have no idea how much yarn it will use as a result. I used a ball and a half of DK weight, Debbie Bliss Baby Cashmerino, a 3.5mm hook for the crown and a 3mm hook for the band. This is important; use a smaller hook for the band as the ribbing will stretch with wear. 1. First, you need the head it has to fit on. Measure the head in question around where the band is to go. 2. Make, say, 13 chains, and using BL-dc, work forward and back until the band is the same length as your initial measurement, and can by divided by 7. So, you should have, like 126 rows (126 / 7 = 18), more or less. If you need to add or subtract a few rows to make the band meet this criteria, I suggest you subtract. Break the yarn, but leave a 1 metre tail to sew it up later. 3. Starting at the tip of the crown, using a magic loop, make 7dc. 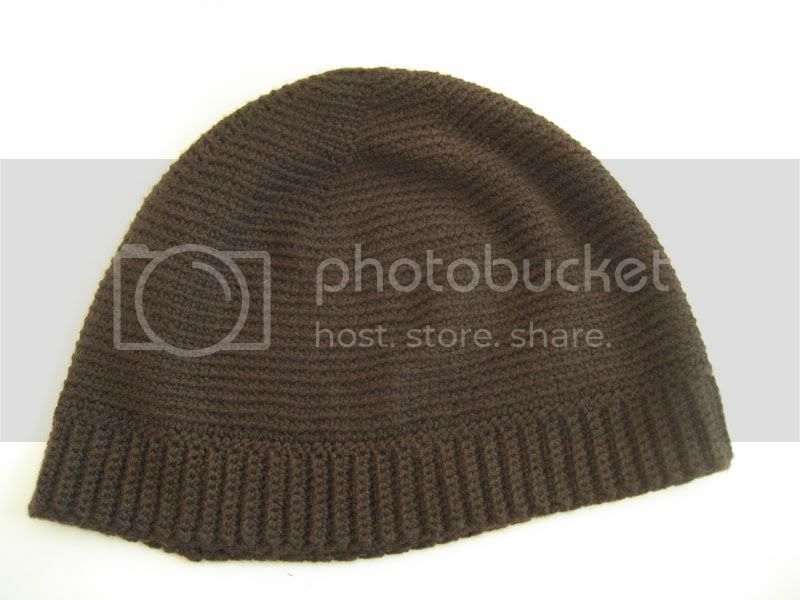 Note: This hat is created in one, continuous spiral to avoid having a seam, so be sure to mark the start of each round with a stitch-marker. Continue in this manner until you reach the same number of stitches as rows in your band. In my case, that stitch number was 126. From this point, stop increasing, and simply work round and round using FL-dc sts until hat is deep enough. Remember that the band will be sewn on afterwards, so take that into consideration when test-fitting the hat on the lucky person's head. Using the 1m tail on the band, sew the band's ends together to create a large loop, and then attach to the crown, working 1 band row and 1 crown stitch together at a time. They should fit perfectly. 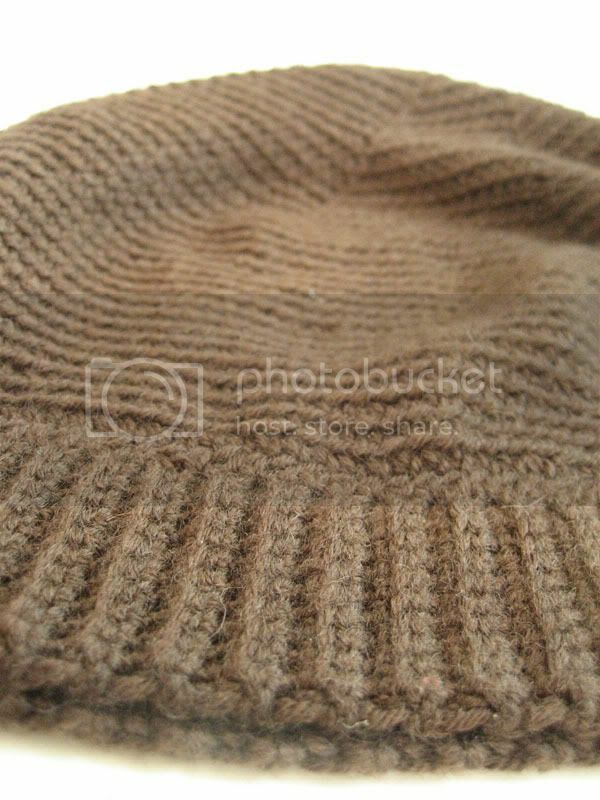 Soak the hat in cold water for 15 minutes, press gently in a towel to remove excess moisture, and, if the recipient is willing, block on their head. This will remove and stiffness in the fabric and mould it to their exact head shape. If they're not willing, use your own head. I find blocking hats is a great way to tame my frizzy hair, too. Odd, but true! 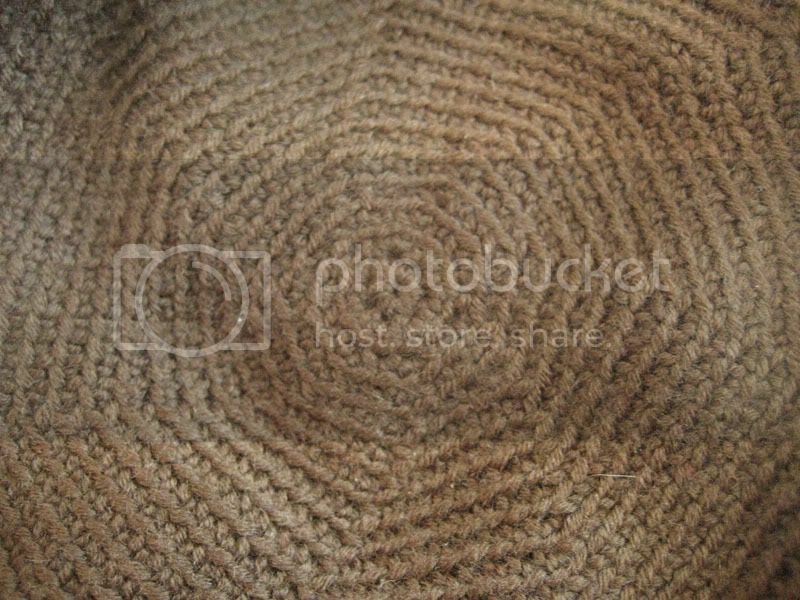 BL-dc - back loop double crochet. Work into only the loop farthest from you. 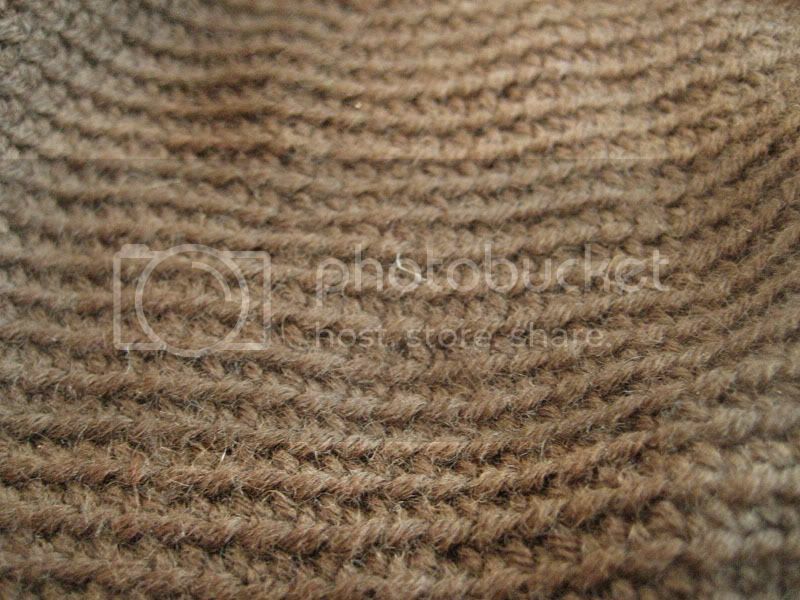 This creates a great ribbed effect. FL-dc - front loop double crochet - As above, but work only the loop closest to you. This gives a really nice line to the resulting fabric. It's been a while, but I reckon it's never too late to get back on the horse, right? 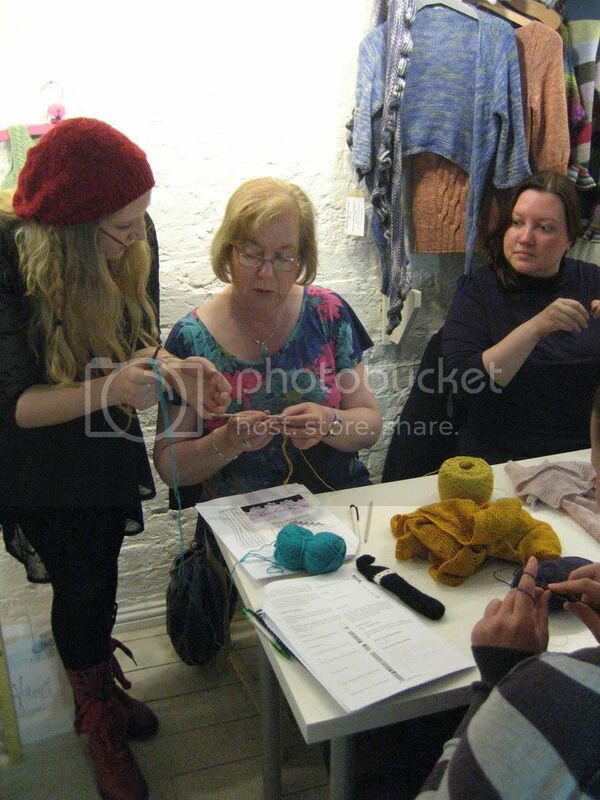 I had a great time last week, teaching a 1/2-day workshop in This Is Knit, in the Powerscourt Centre, Dublin. Working through Pax, my free shawl pattern, we learnt how to work linked-stitches, the different increases I use and when they're best implemented, and all the fancy lace techniques I use in Pax. By the end, I'm happy to report, everyone knew their way around the pattern and were ready to start into their very own Pax-es. If you missed out on this workshop, never fear! 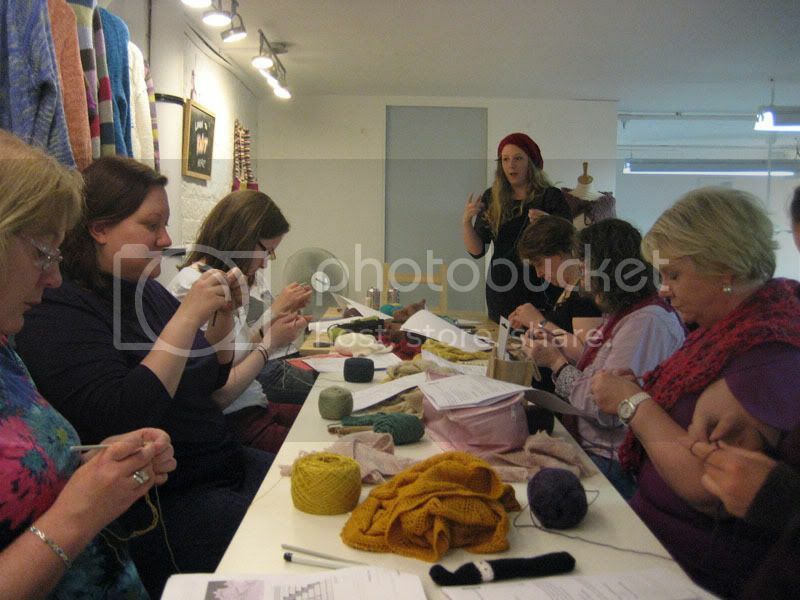 I have another session coming up, in This Is Knit in July. For more info, click here.